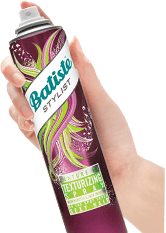 Divine Darks can now rejoice as Batiste Dry Shampoo Plus has been specially formulated to bring out the best in dark hair. This 2 in 1 instantly refreshes hair whilst the hint of colour blends seamlessly, helping disguise white residue, root regrowth on coloured hair or covering any stray greys. 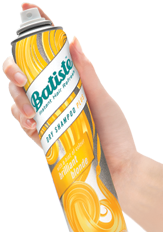 Using Batiste Divine Dark in between wet washing can help reduce coloured hair fading. It’s a great way to extend time before home colouring or your next salon visit. 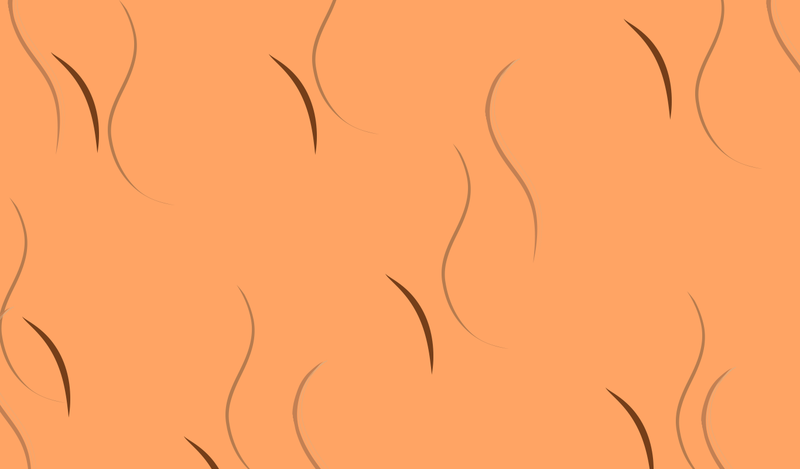 Effortless texture, body & movement. 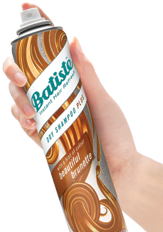 Batiste Dry Shampoo Plus has been specially formulated to bring out the best in dark hair, with a hint of colour to blend seamlessly.